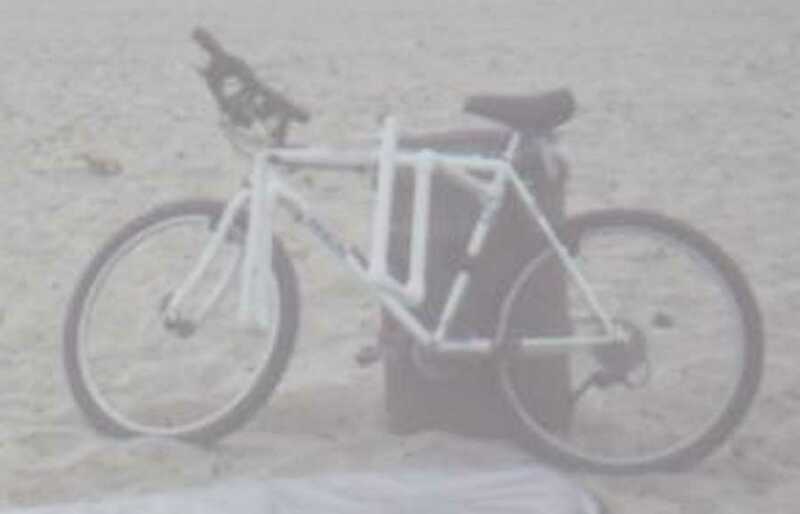 Bicycle Surfboard Rack - Racks for Your Bike! to build this beauty. It is simple, cheap and works very well. I made this in Sept. of 1999 and it is still holding up. 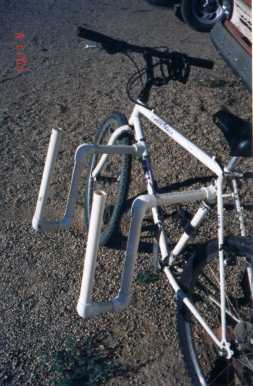 but they could be mounted on either end of the top tube. OK, the hose clamps will take care of that. your pedals (going straight out, rather than toward the pedals). to the ground from the bottom of each tube. They should be close. The Tees must be properly clamped, and all the joints must be glued. the vertical tubes are perpendicular to the ground. 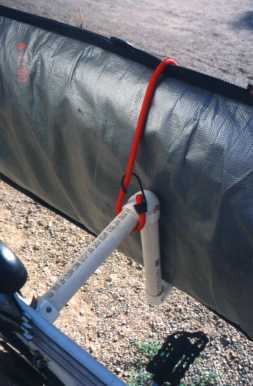 7) Use hose clamps to secure the Tees to the frame (2 per Tee). the top. 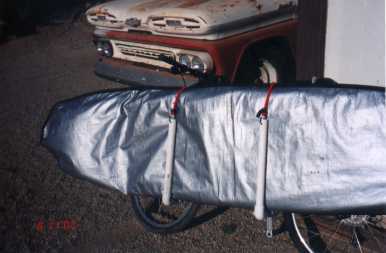 This will serve as an attachment point for the bungee cords. scratches from the rack are not a concern). nice home storage rack for your board with this material. Feel free to email me for technical questions or comments regarding this page.